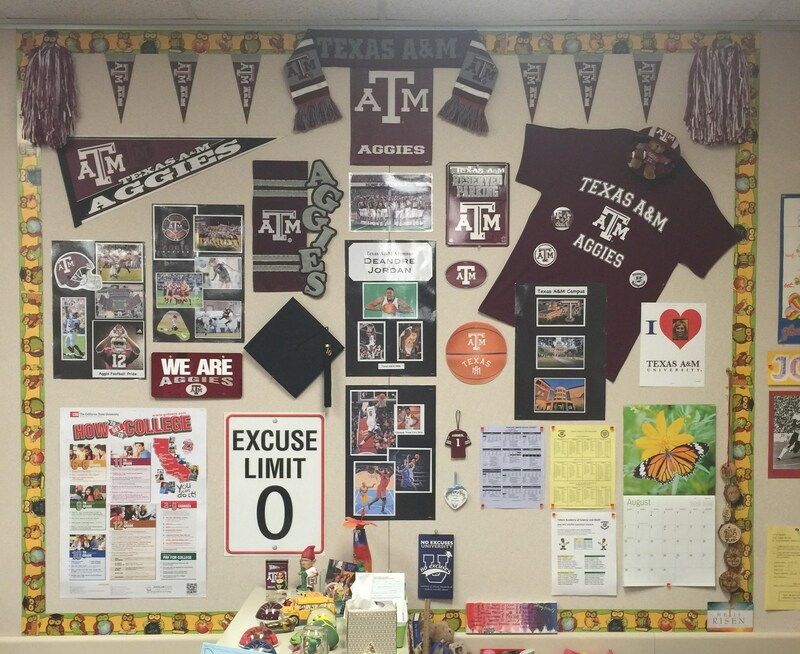 Each of our classrooms from Transitional Kindergarten through Eighth grade have Adopted a College. 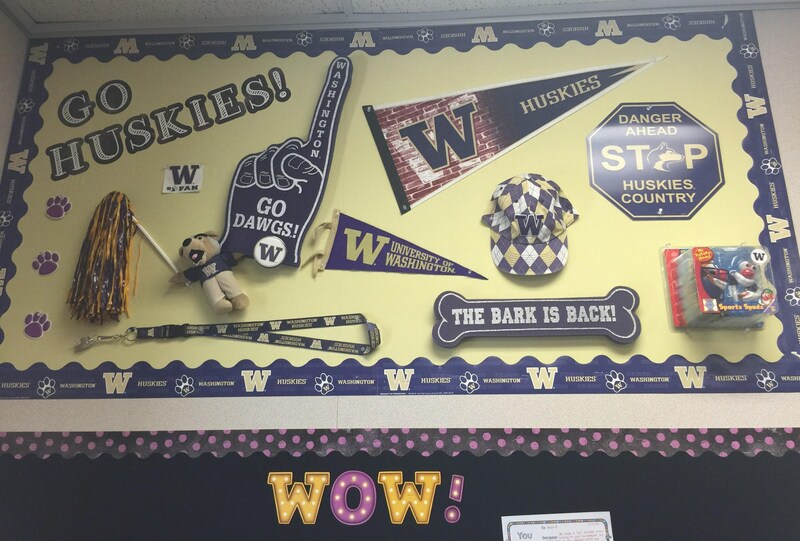 By adopting a college, they don’t just hang a flag and say this is our college, instead each of the classrooms have some sort of personal connection with the college itself. 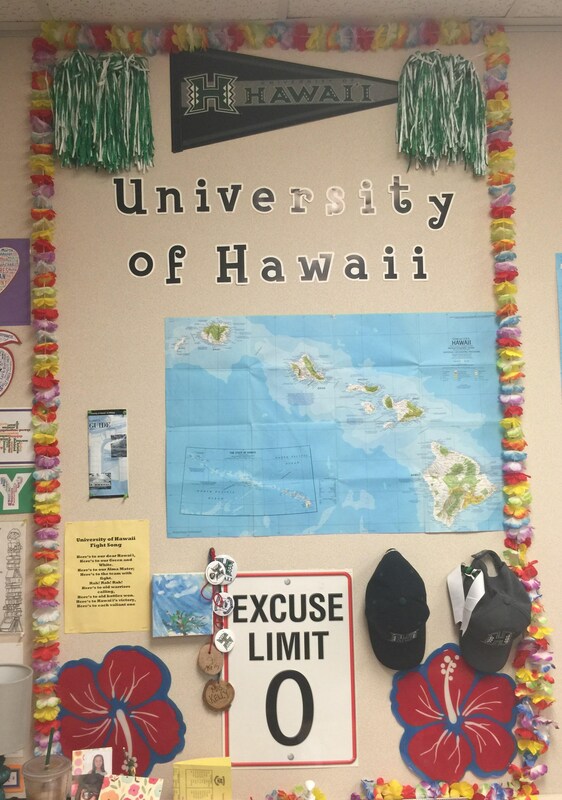 Perhaps the teacher attended that particular college, they have family that attends there, or know of someone who does attend that college or university. 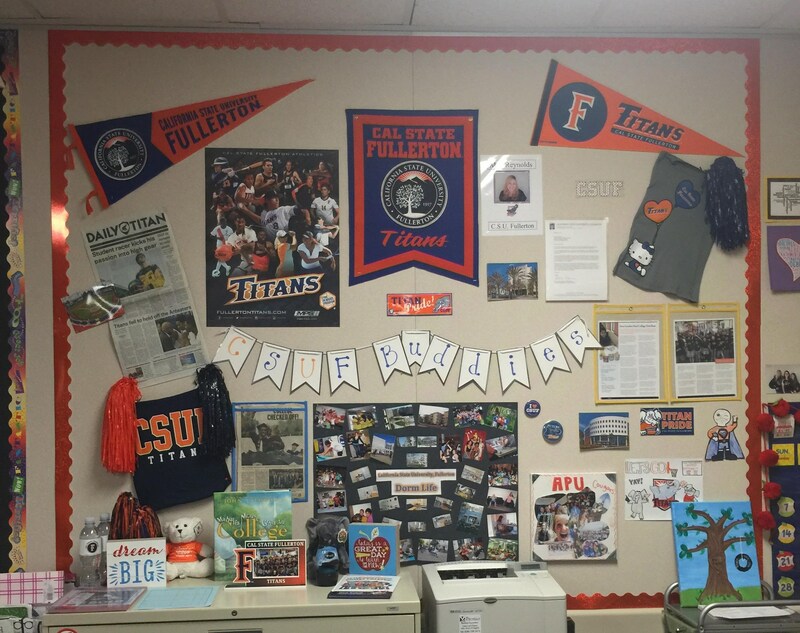 The partnership often includes the class writing to the college or a student who attends. 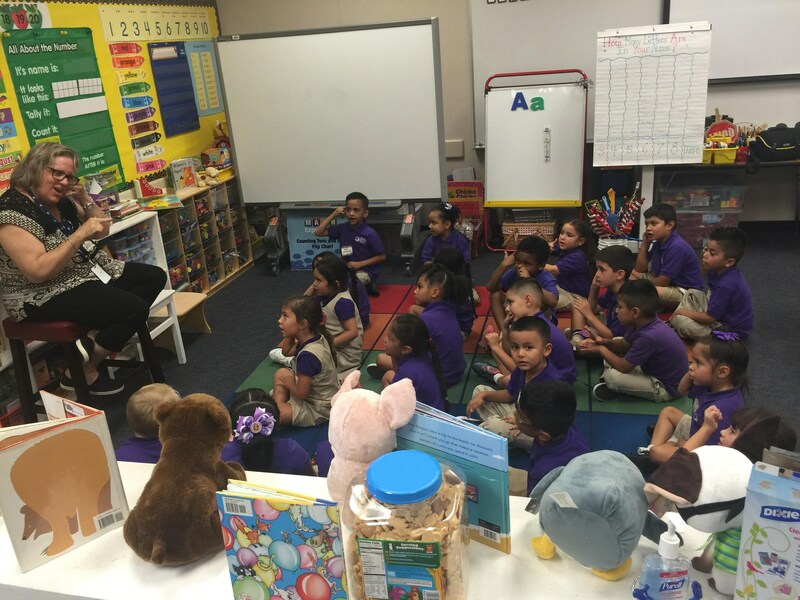 Sometimes it involves Skyping an individual who might work at the college. 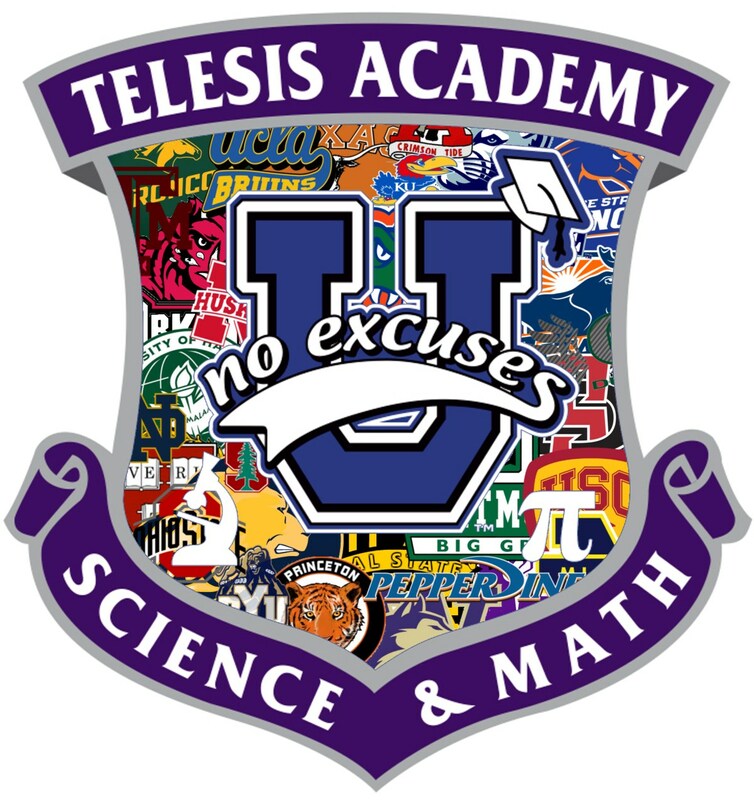 Some of our classrooms have college buddies, where the buddies come and visit Telesis, then the students go visit the college throughout the year. 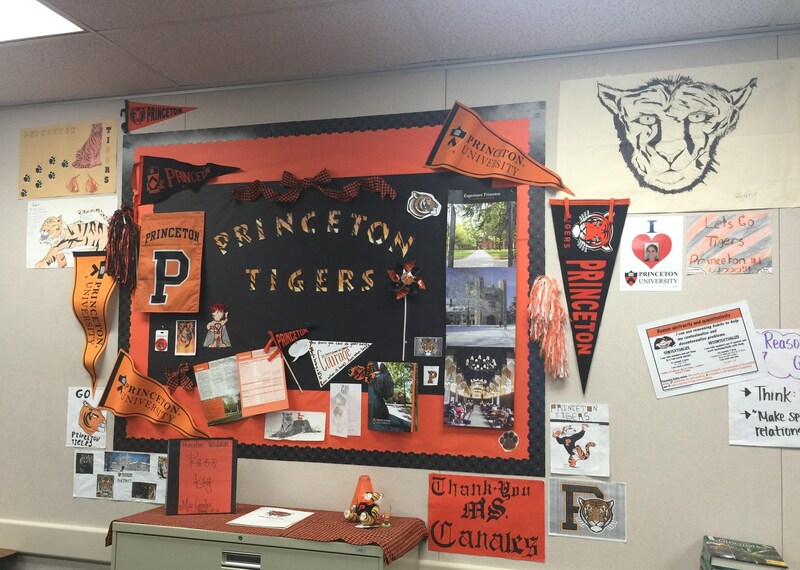 We have had college professors come and speak with the students in the class and their parents about the road to college, and what it is like once they get there. 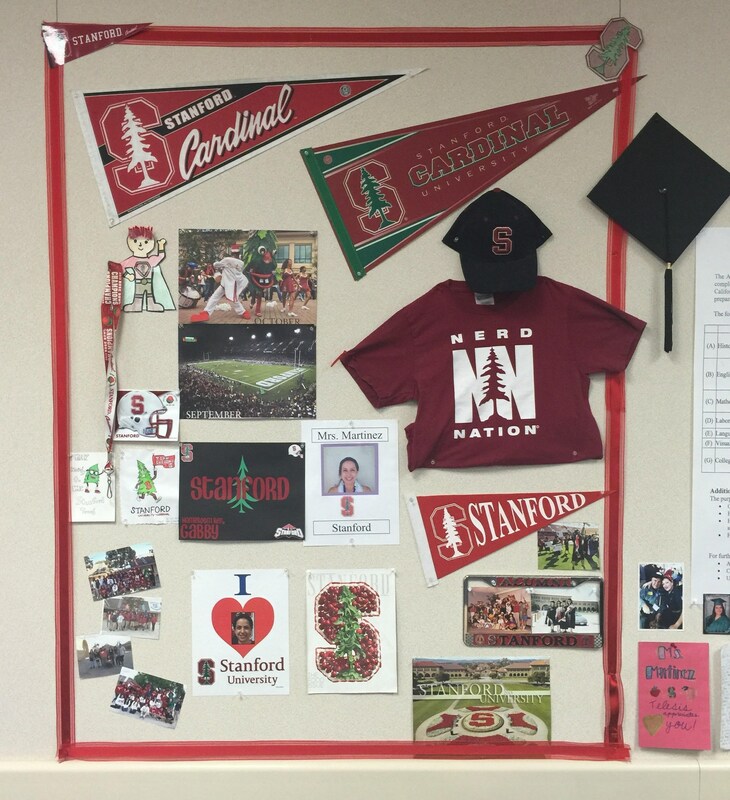 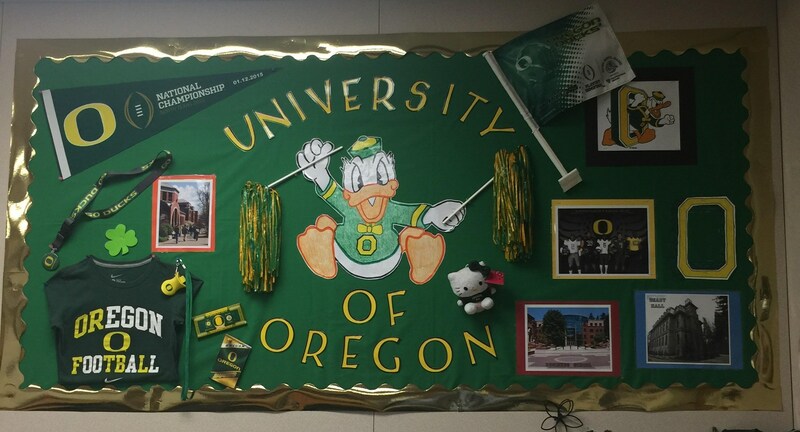 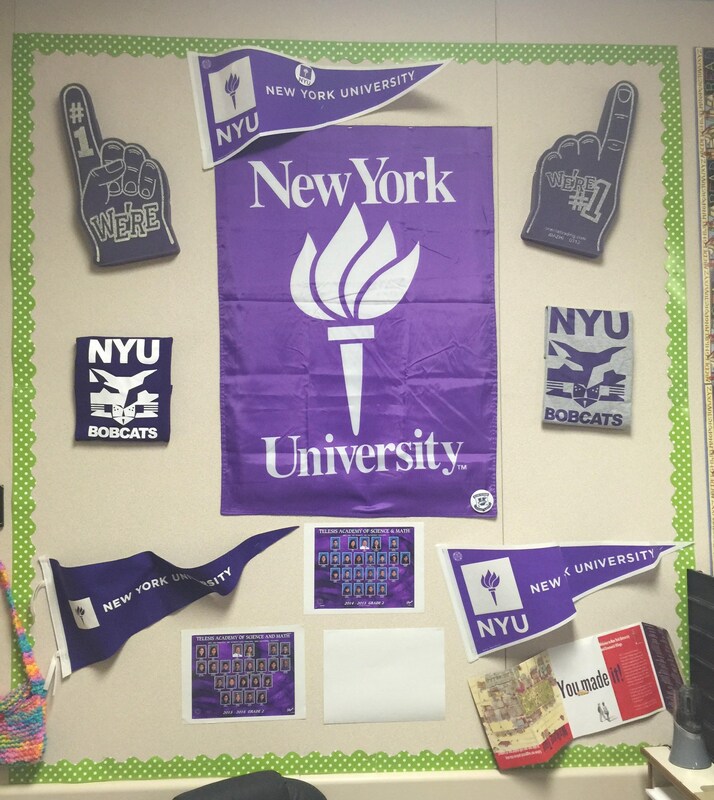 Each classroom not only has a college flag, but they proudly display a college wall. 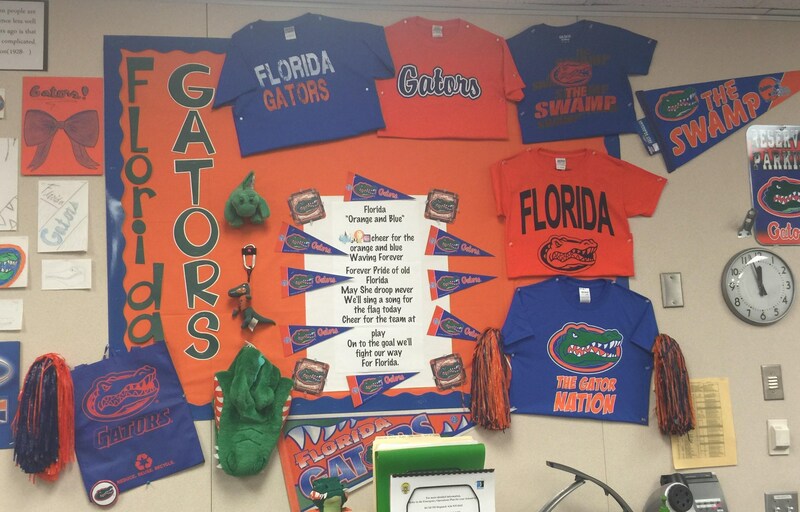 Every Friday, is College Shirt Day where all of the students, teachers, auxiliary staff, and administration wear their college shirts. 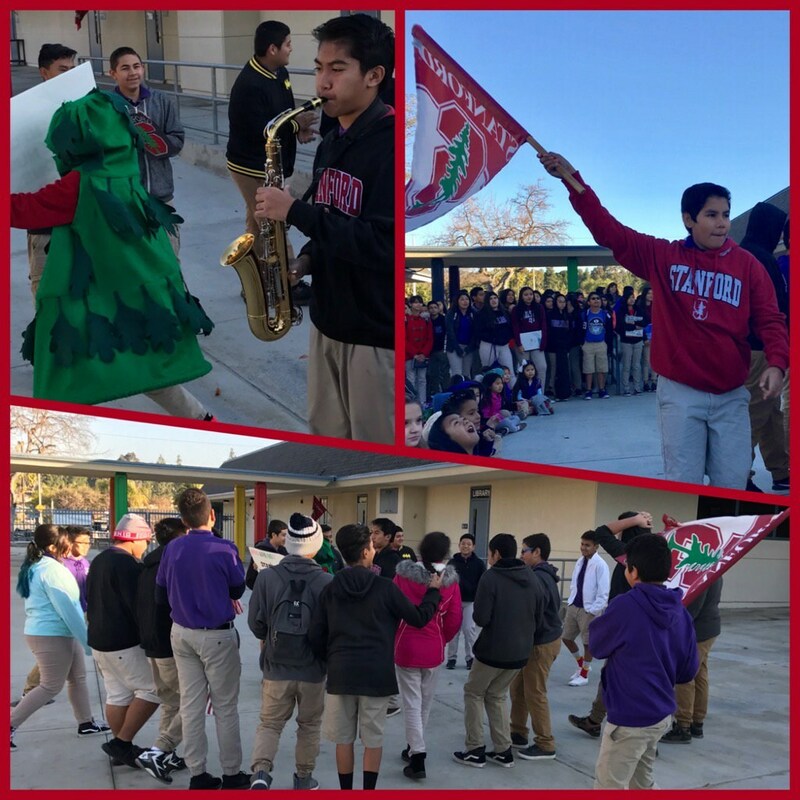 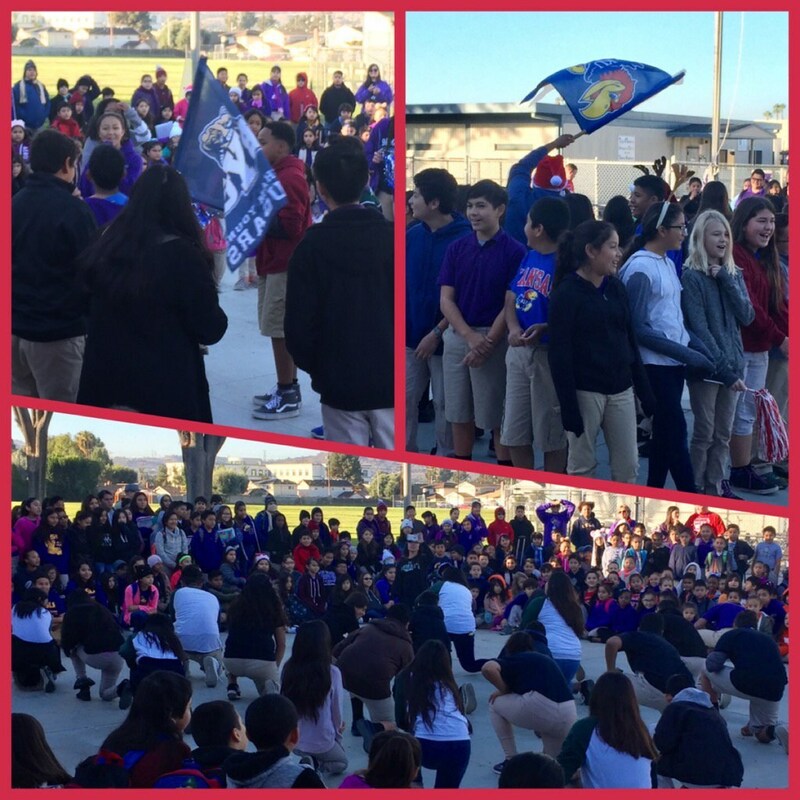 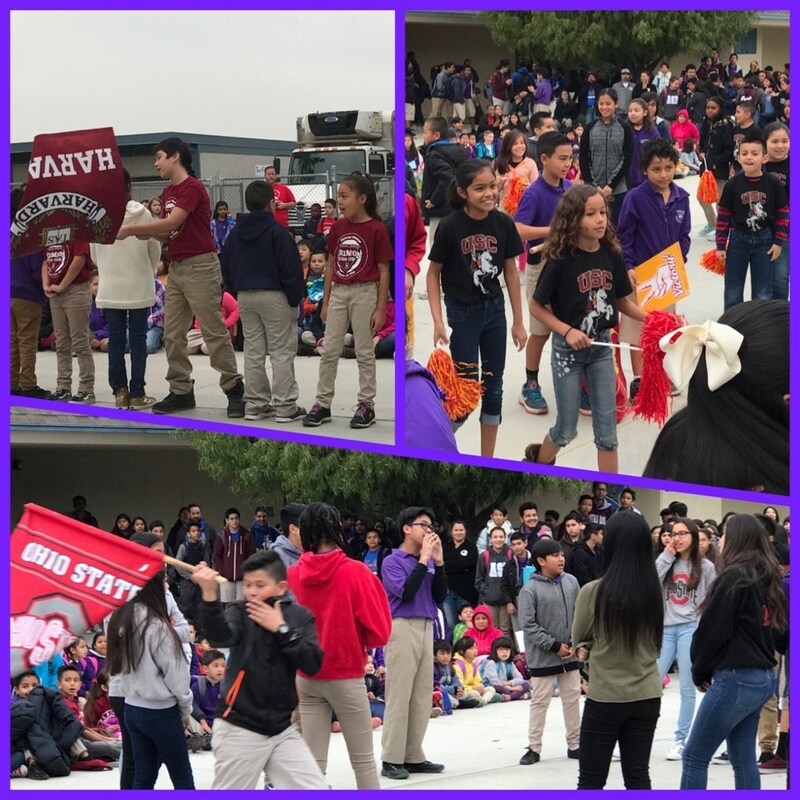 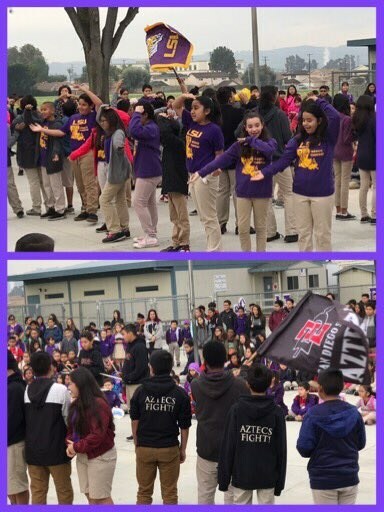 Fridays are also special because the students perform college chants in the Telesis Quad for the entire school of almost 800 students to see. 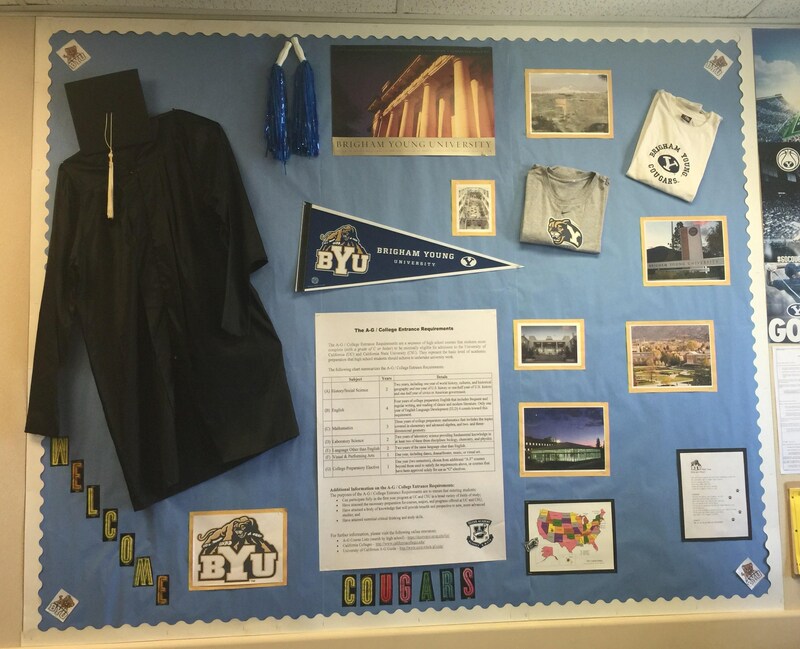 AFTER HIGH SCHOOL... COMES COLLEGE!